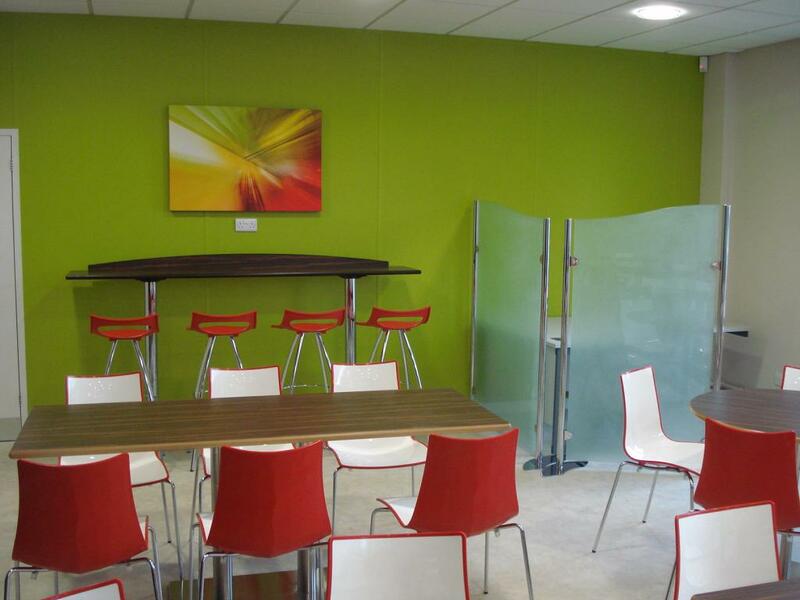 Space Furniture created a new inviting environment using stylish but durable furniture, a contemporary colour scheme, wall art and blinds to create an inviting area for the staff to dine in for years to come. 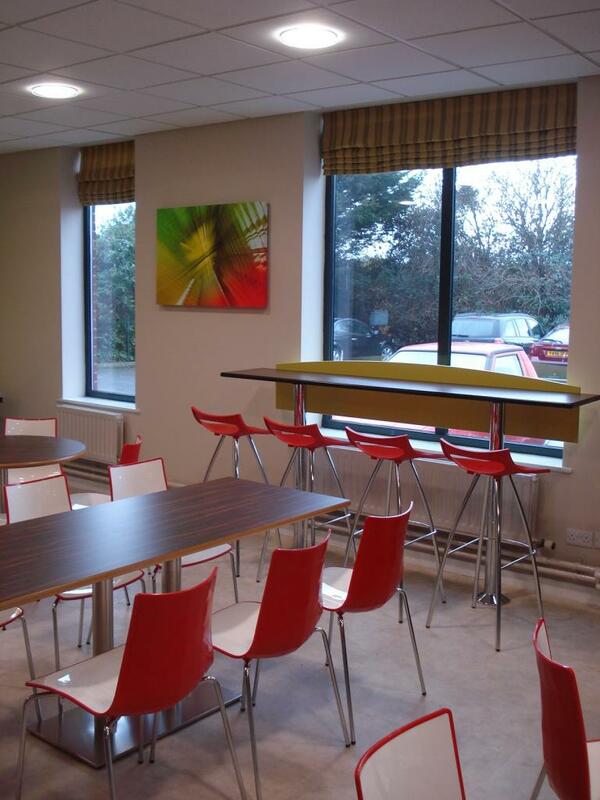 Two high level eating shelves were used to provide an area suitable for informal dining and also to provide a space where staff can use laptops. 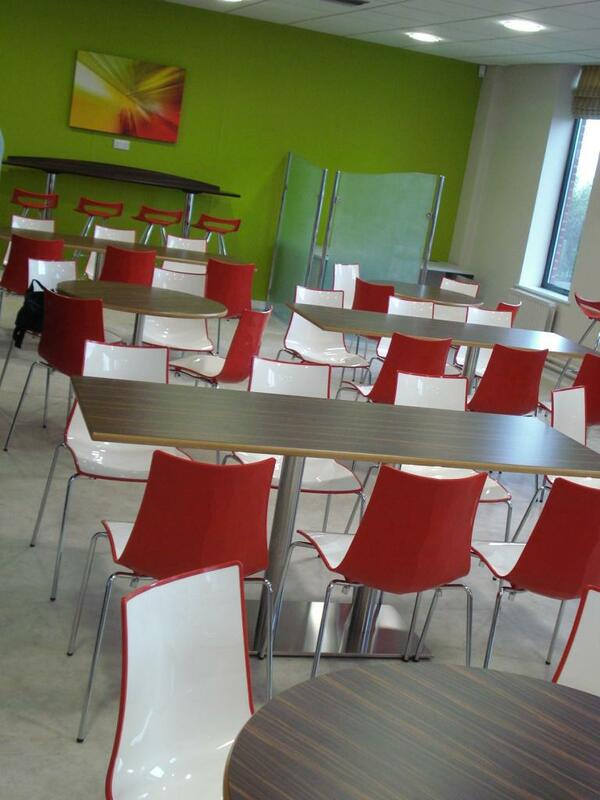 The green paint finishes and blinds were complimented by red Zebra side chairs for a striking accent colour. 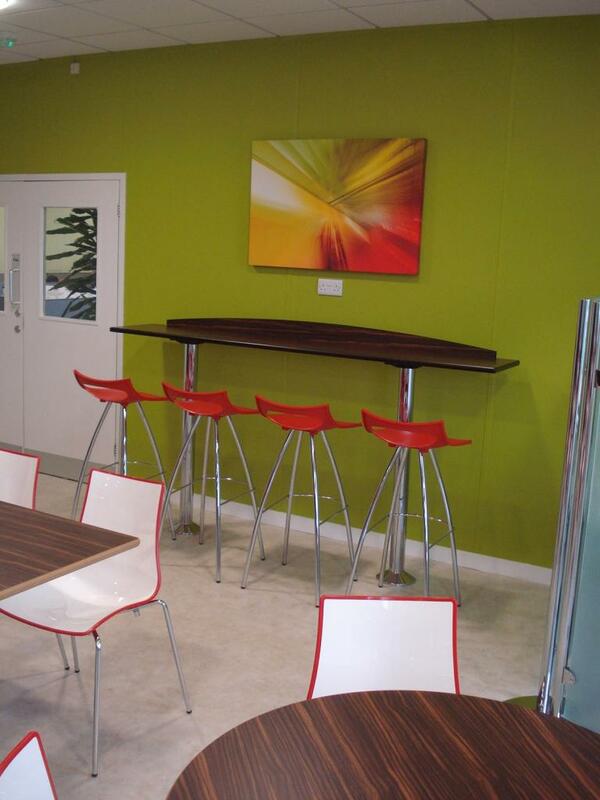 The scheme was further complimented by Wenge table tops which matched the laminate of the new vending area and existing counter which was given a make over by Space Catering. A mixture of round and rectangular tables provide an informal dining area. Wall Art brings together the main colour scheme and accent colours. High level eating shelves give a space where staff can eat or use laptops. Stylish blinds inkeeping with the colour scheme give a relaxed comfortable environment. Etched glass screens divide the catering office from the staff dining area.